Don’t let your dream home turn into a nightmare. 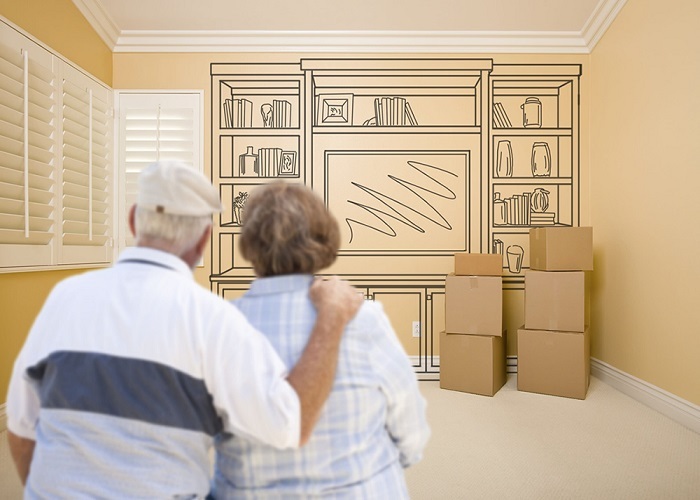 Avoid these remodeling mistakes that trip up seniors. ONCE YOU HIT YOUR 50S, a home remodeling job requires you to think about more than simply whether you’d like granite in the kitchen or tile in the bathroom. Older Americans need to keep a close eye on their future needs and finances before spending time and money to overhaul their living spaces. If you’re planning to invest in a home upgrade, take care to avoid these four costly mistakes. Mistake No. 1: Remodeling and then moving. Joe Heider, founder of Cirrus Wealth Management in Cleveland, says he sees some pre-retirees build monster-size houses or undertake expensive remodels just before leaving the workforce. “[Some] empty nesters build a huge house that’s almost a living monument to themselves,” he says. However, once retirement hits, seniors may decide they want to downsize or move closer to the grandkids. Then, they have spent a significant amount of money on updates only to discover they can’t sell for a price that will allow them to recoup their investment. It’s a mistake to spend money on a remodel without clear expectations for your future in the house. If you plan on your current home being your last home, remodeling can be smart. If you could be moving in a few years, it may be better to save your money for an update to your next home. Mistake No. 2: Forgetting to plan for future needs. Instead of keeping old design styles, a home remodel for a senior should include wide spaces and an open floor plan. “I live in a home built, I think, in the 1880s, and it’s an example of everything you shouldn’t do,” Baker says. His house has narrow halls and doorways that would prove difficult for anyone with a walker or wheelchair to navigate. Valerie Dolenga, spokeswoman for adult community developer Del Webb, says a number of trends in senior housing focus on “aging in place,” meaning they help people remain in their homes longer. Aging-in-place features include curved, multilevel countertops in the kitchen that accommodate wheelchairs and easily accessible appliances. “We’re starting to put laundry near the master suite, so you’re not hauling clothes all over the house,” she says. Mistake No. 3: Going into deep debt to remodel. Before anyone takes a remodeling sledgehammer to your walls, you need to run the numbers to be sure you can comfortably afford the planned improvements and upgrades. For seniors, the money aspect of a remodel is particularly important because they typically live on a fixed income. Going into debt to finance a remodel may be convenient, but it means adding another monthly bill to what could already be a stretched budget. If the debt is incurred as a home equity line of credit or a second mortgage, it could mean your children or heirs will have to sell the house if you pass away before the debt is repaid. Mistake No. 4: Depleting retirement money to pay for a remodel. Pulling cash from a retirement fund could leave you strapped for money later in life, at a time when medical bills are mounting and no additional money is coming in. Even if you feel comfortable pulling a certain amount from retirement accounts for a remodel, Heider notes it’s easy to overspend. “For another grand you can do this or that and pretty soon you’re at a number you can’t afford,” he says. While the remodeling process can be riddled with potential pitfalls, Dolenga says your best bet is to remodel early and while you’re healthy. If you upgrade your home while you’re still working, you may be able to afford additional improvements. And installing features such as grab bars in the bathroom or lower light switches now, means you won’t have to worry about scrambling to add them later.